Mr Stephen Ashitey Adjei, an executive member of the Tema East branch of the NDC has exclusively attributed the defeat of the National Democratic Congress in the 2016 polls to former President John Dramani Mahama. 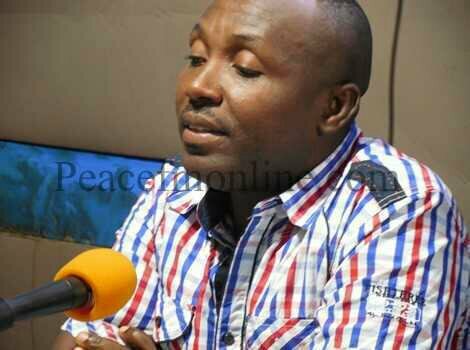 “Yes it is true that President Mahama has already come out to take responsibility for our defeat, but everybody knows that move was a fanciful one to court sympathy. The truth is that he is responsible for our defeat and the causes of our defeat could have been totally avoided,” Mr Adjei, who is popularly known as Moshake said at a meeting of some NDC executives in Tema Community 4. Mr Adjei said the former President Mahama’s unbridled utterances at certain levels and the maltreatment of Ghanaian workers were instrumental in the loss. According to him, grievances of workers who had written to complain to him were totally ignored and in some cases, he said, those grievances that were attended to by late President Mills, Mahama failed to follow through from where Mills had left off. He said that one typical example of disrespect that President Mahama showed Ghanaians was his open declaration that he had caught the dead goat syndrome and had become impervious to numerous demonstrations that Ghanaian workers had been constrained to undertake. “How can a President leading a political party which was in office with the people’s mandate turn round and tell the people that ‘I am now adopting the dead goat syndrome? He added that the former President had also mismanaged relations with the party’s Founder, former President Jerry Rawlings, alienated the party’s elders and even the party’s administrative structure. “What was even most unattractive, according to Moshake, was that the former President was perceived to have given the most juicy state contracts to his younger brother, Ibrahim Mahama. “It was a perception that we should have dealt with, but what could anybody have done at the time when President Mahama and his family had hijacked the whole party and its operations?” Moshake asked. He agreed that poor flow of communication, especially in the media space, was a contributory factor to the NDC’s loss as he consciously ignored all the pro- NDC media including his own Presidential media. According to Mr Adjei, President Mahama had been on a high horse because he had surrounded himself with people who tickled his ears instead of those who would tell him the truth. “He sent Dr. Tony Aidoo out of the country and treated party elders like outsiders, forcing the likes of Honourable Alban Bagbin to advise him publicly,” Moshake pointed out. He advised that the new crop of NDC flagbearer aspirants should be well assessed by delegates to ensure that personalities that would lead the party were humble and up to the task. Moshake said he was not going to throw support behind any particular candidate, because all the prospective flagbearer aspirants whose names are in the media were all Presidential materials, but praised Mr Alban Bagbin, a Deputy of Parliament after holding a meeting with him in Tema community four. Accra, Feb. 12, GNA – The government of Ghana, under the Secondary Education Improvement Project (SEIP) has negotiated an additional $40m from the World Bank to support the Free Senior High School (SHS) Policy, the Minister of Education has said. Dr Mathew Opoku Prempeh said this in a speech read on his behalf at the 68th Speech and Prize Giving Day of St. Mary’s Senior High School in Accra. “Inevitably, the Free SHS policy means an increase in the number of children accessing high school education, for the simple reason that children, who would otherwise have stayed home because of the financial barriers to SHS education now have no reason to do so. “This means that as a matter of priority, government has to focus on expanding the physical infrastructure in our SHS’s to accommodate the anticipated rise of student numbers in the coming years,” he said. The Headmistress of the school, Mrs Grace Mansa Eshun, said “the school was in dire need of staff accommodation”, and that, in spite of the many challenges, the school had gone a long way in achieving a lot in her 68 year history. St. Mary’s Senior High School was founded on February 6, 1950 by the Catholic Missionary Sisters-Servants of the Holy Spirit. The vision of the Catholic Missionary Sisters-Servants for establishing the school was to create educational opportunities for young girls to receive secondary education with Catholic underpinnings to better their lives and improve upon their prospects for their future. The theme for the 68th anniversary celebrations was “Empowering Girls to Make Responsible Life Decisions for a Responsible Future”. Northern Alliance for Better Ghana (NAFBEG), a National Democratic Congress pressure Group has appealed to former President John Dramani Mahama not to contest for the Presidential slot of the NDC for the 2020 elections. According to the group, it was a bad idea for the former President to return to the frontlines of politics after giving a sterling performance as President and leaving an exemplary legacy for himself and the party. “We all know that it was lies and dirty politics that won the 2016 election. Now that the NPP is in power, Ghanaians are contrasting and finding out for themselves the shining leadership that President Mahama brought to the Presidency. It is our humble opinion that President Mahama risks hurting this impeccable legacy if he runs again, ”Mr Sulleman Abubakar Bayeta, General Secretary of NAFBEG, said in an interview with the Ghana News Agency in Accra. He said the NPP would also not hesitate to come up with allegations about former President Mahama during the campaign just to mar him because of his quest for the Presidency. “Imagine the kind of blow that will hit the legacy of President Mahama if he runs again and loses in 2020,” Mr. Bayeta said. In the aftermath of the 2016 elections, which the NDC lost, the former President’s family came out to declare that he would not run for President again. However, the former President’s body language has since been giving off a different vibe. Mr Bayeta pointed out that the former President has already had the maximum eight years at the Presidency, having served the first three and a half years as Vice President and the remaining four and a half years as President. “This point is concurred by some staunch supporters of the former President during the 2016 election, including Hiplife singer, MzBel who had pleaded with the former President not to run again and was subsequently attacked by NPP supporters after President Mahama’s loss at the polls in 2016. NAFBEG said it would be in the supreme interest of former President Mahama to make way now by leaving when the applause was loudest. At least four ministers are expected to meet the president today for an hour each of rigorous assessment and evaluation at the Flagstaff House. National Security Minister, Albert Kan Dapaah; Trades Minister, Alan Kyeremanten; Minister for Regional Reorganisation and Development, Dan Botwe and Foreign Minister, Shirley Ayorkor Botchway are expected to answer for one year of their stewardship as ministers of state. Given the president’s itinerary for today, Joy FM’s presidential correspondent Elton John Brobbey suspects the one-on-one encounter with the president by the four ministers will begin at 5:00pm. National Security Minister, Kan Dapaah is expected to begin the one-hour session with the president. He has a lot to answer for over the last 12 months of the tenure of the New Patriotic Party administration. From vigilante attacks by followers of the party to deadly armed robberies which have claimed the lives of some police personnel, the state of security over the last 12 months will be a major concern to the president and the minister. Kan Dapaah will have to explain how some of those incidents happened, what he has done to avert future occurrences and why he has to keep his job as Security Minister. At 6:00pm Trades Minister, Alan Kyeremanten is expected to take his turn with the president. He has his job clear cut. The one district, one factory project remains one of the most audacious campaign promises of the NPP and they have no reason to renege on that. After 12 months, Mr Kyeremanten who heads the Ministry should by now have drawn a solid roadmap for the execution of that promise and many others including the industrial parks across the country to provide jobs for the unemployed youth. He meets the president later today to account for his stewardship over the last 12 months. At 7:00pm Dan Botwe will take his turn. His call was to make sure governance is brought closer to the doorstep of the people and ensure devolution of power from the Central government. He was also tasked to lead the creation of new regions which was also a major campaign promise in 2016. He will have a one-hour chat with the president to lay bare his success stories of failures as well as challenges over the period. Foreign Minister, Shirley Ayorkor Botchwey will be the last for today. Usually a quiet ministry with lots of diplomacy, the last 12 months have been rather loud with issues of what to do with the ‘honeymoon’ expiration of the GITMO 2 fugitives in Ghana. There has also been the issue of the inhumane treatment meted out to some African and Ghanaian migrants in Libya which the Minister had to deal with and all its controversies. Meanwhile, the immediate past vice president, Kwesi Bekoe Amissah- Arthur says this is not the first time ministers will be appraised by a president, even though he admitted the format may be quite different. He told Joy News’ Emefa Apawu, his boss, ex-president John Mahama would have a conversation with his advisors on a performance of one minister or another and take a decision on them. “The party wishes to once again, make a passionate appeal to all stakeholders, especially the would-be candidates for the various positions in the upcoming primaries and their supporters to respect the rules of engagement and conduct this exercise with the necessary maturity so that we would have incidence-free primaries,” he said. “We wish all the aspiring candidates the best of luck in the elections. Let us remain united and committed to the call of our party and government at all times so that we can continue to deliver the needed prosperity to the Ghanaian people. “Once again, let it be said that the NPP come out of the 2018 primaries as a much stronger party”. He explained to the media: “We have invited you here primarily to officially spell out the guidelines for the conduct of the party’s forthcoming constituency primaries to elect constituency executives following the expiration of the mandate of the current constituency officers and in pursuance to Article 7 of the party constitution. He said the elections follows the completion of the Party’s electoral area and polling station elections. “As you would all attest to [the fact that] the exercise has been generally successful. There are, however, a few areas, numbering about seven constituencies where we have some challenges including law suits,” he stated. “But the good news is that our legal, team led by Nana Obiri Boahen, the Deputy General Secretary, is competently handling these issues and making significant strides at resolving them. “We are also thankful to the media for a generally fair coverage and balance reportage and look forward to receiving a lot more of such cooperation in the remaining primaries,” Mr Boadu said. 1) There shall be constituted, a Constituency Elections Committee (CEC) which shall conduct the constituency Officer’s elections at the scheduled dates (21st – 24th February, 2018) and at a venue as the CEC may determine. 15) The delegates to the conference shall vote with their party ID cards; but where same is unavailable, National Voters’ ID cards may be admitted by the CEC for the purpose of voting. The steering committee has directed each of the 10 regional executive committees of the party to, with immediate effect, organise an expanded regional executive committee meeting comprising all the constituency executives in the respective regions. The meeting, which would be held under the supervision of at least one national officer, shall set the stage for the constituency delegates’ conference, where, inter alia, the Constituency Election Committee (CEC) shall be inaugurated. So we woke up on Friday to the news of the death of Dancehall musician, Ebony Reigns on the night of Thursday, February 8. Ebony had died in a gory accident somewhere along the Sunyani-Kumasi road where she was visiting. Ebony had visited her mother, Beatrice Oppong, and was returning to Accra to prepare to prepare for trip abroad in two days. But the Jeep she was travelling in collided with a VIP killing three out of the four people on board. The Dancehall diva’s rise to fame, her sudden and tragic death, has brought to memory some of Ghana’s promising entertainers whose careers were abruptly ended under similar tragic circumstances. Just like Ebony, Bonchaka, born Terrence Nii Okang Mensah Adjetey, had burst on the music scene as young artiste and taken it by storm as he was the most sought after artiste at the time of his death. Bonchaka died in an accident in the early hours of October 30, 2003 aged 21. His car hit a tree on the Madina-Legon road. He was returning from a musical concert he headlined at the University of Ghana campus. Though he was only active in the music industry for just about two years, he made a lot of waves with his ‘old school’ dressing and ‘poulele’ dance. Suzzy Williams on the other hand, was one of the best young movie stars in Ghana when she died on September 8, 2005. She was featuring in almost every major movie in Ghana at the time and at just 23, her best was yet to come. But she lost her life under tragic circumstances on the La-Teshie Nungua road. It is not really known her destination but reports at the time suggested she was on a ‘chilling spree’ with her ‘boyfriend’. The fact that Ebony, Terry, and, Suzzy dying very young, 20, 21 and 23 respectively, through road accidents is obvious. It is also obvious that they died at the height of their careers. However, while the above similarities about the deaths of the three are very clear to note, there is one common thing about them that you likely did not know. All of the tragic deaths happened on a Thursday. Left wondering what is it about these ‘Thursday tragedies’, YEN.com.gh did some checks and realised that ‘Yawoada’, the Akan name for Thursday, is a contraction of ‘Yaw (pain)’ and ‘3da (day)’. So if one wants to do a literal translation, it would be ‘Pain day’ or ‘Day of pain’. Though this is is not to discount the fact that bad roads and reckless driving may have played their parts in causing these accidents, it is quite weird to realise that all of these tragic deaths happened on Thursdays, though years and locations part.